This Amazing Wearable Breast Pump Technology is changing the Breast Feeding game. Pumping breast milk can be inconvenient, as most systems require a bulky system with lots of parts. The situation is improving, however, as companies are developing pumping systems that a woman can wear under her clothing. There are popular devices like the Willow Wearable Breast Pump shown above, a device that fits inside a woman’s bra while it collects milk in one-time-use bags. Chiaro Technology is the company that founded the Elvie Trainer, which is a mobile kegel exercise feedback device. The same company recently announced the Elvie Pump. Described as “the world’s first silent wearable breast pump,” the Evie Pump is currently available on a waitlist status only. Designed to be worn inside a standard nursing bra, the Elvie Pump has five parts for easy assembly and cleaning. 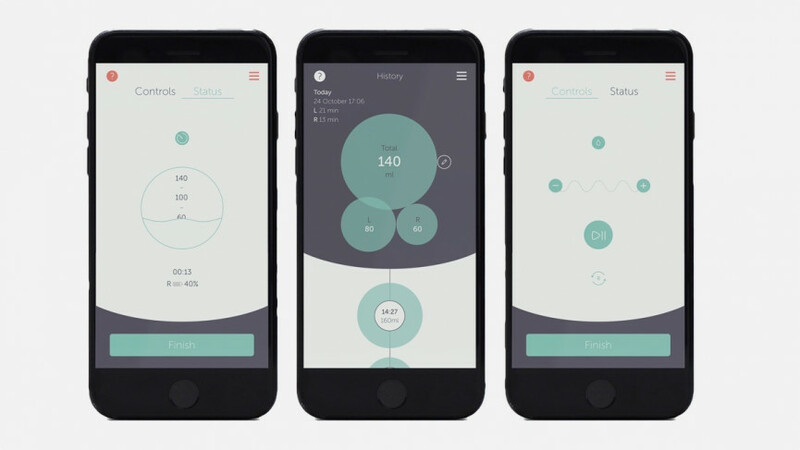 An associated iOS or Android app monitors milk volume in real-time, tracks pumping history for each breast and can control the pump remotely, although the app isn’t required to use the pump. While the percentage of infants ever breastfed has increased ahead of the Health Promotion’s Healthy People 2020 Objectives, only about 25% of babies are breastfed exclusively for their first six months. Considering the busy lives of average mothers, systems to make pumping more comfortable and convenient could help to increase these percentages.